The Cape Lookout Albacore Festival is honored to offer casting clinics presented by Wanda Taylor. 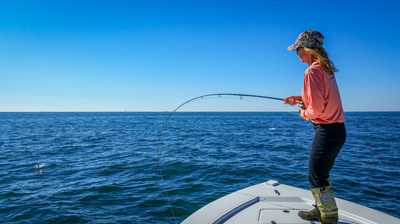 Wanda is a member of the Temple Fork Outfitters Professional Advisory Staff, the first woman in the world certified by the International Federation of Fly Fishers as a Master Certified Casting Instructor, and the first female Orvis-endorsed guide in the southeastern United States. The Southeastern Council of the International Federation of Fly Fishers awarded her Woman of the Year in 2005 and an Award of Excellence in 2008 for her work with breast cancer survivors. She is a national and international ambassador for Casting For Recovery, a non-profit organization that offers free fly fishing retreats for women dealing with breast cancer; Goodwill Guides, a non-profit organization with a customized fishing program designed to integrate wounded Veterans into the professional fishing industry; and Project Healing Waters Fly Fishing Inc., the Cape Lookout Albacore Festival’s supported non-profit organization that offers fly fishing and fly tying opportunities to wounded Veterans. 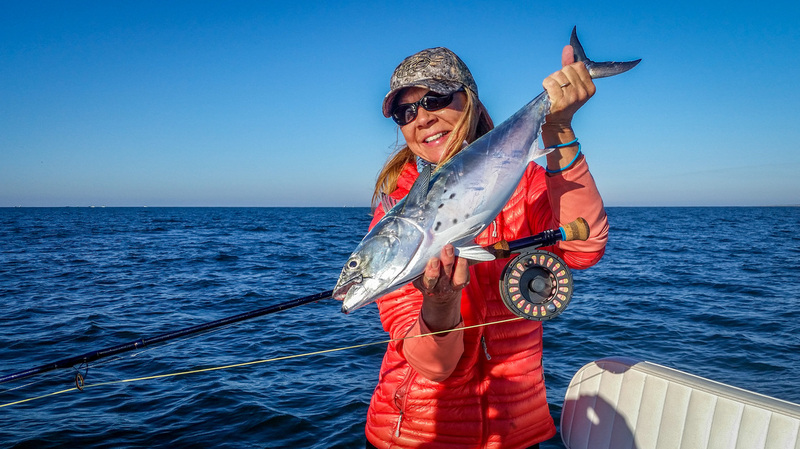 Wanda is passionate about introducing fly fishing to women and children, and has partnered with the Cape Lookout Albacore Festival to offer free casting clinics. Both clinics will be held at the Dunes Club in Atlantic Beach during the Albacore Festival Pre-Fishing Day on October 21st, 2016. Ladies that would like to join Wanda may attend the Women’s Casting Clinic offered from 12:30-1:30pm. The Children’s Casting Clinic will be offered from 3:30-4:30pm. Children from 6-18 are welcome to attend. Children under the age of 16 must have a guardian that remains on premises during the event. Both events are limited to the first 20 participants to register. Interested parties may register by contacting: info@capelookoutalbacorefestival.com. 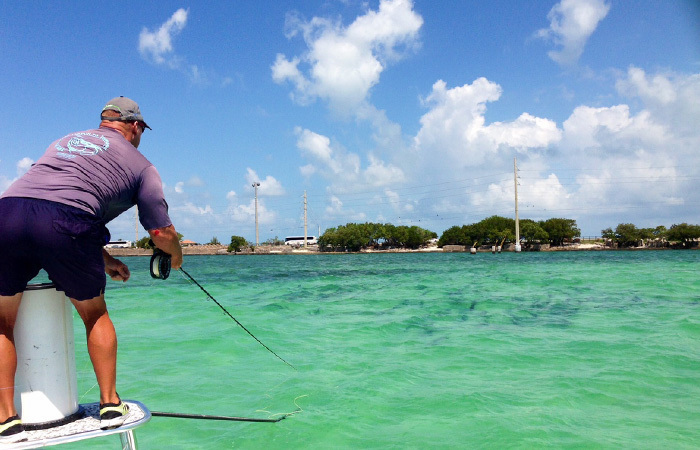 The Cape Lookout Albacore Festival is excited to announce our Casting Clinic and Fighting Big Fish with Rob Fordyce. Captain Rob Fordyce, has been a professional guide, TV host and athlete, for the last 27 years. Nominated in 2014, as one of the top “50” fishing captains in the world, Rob has competed and placed as a top three finisher, in more than a 100 tournaments fished around the globe. Rob has also produced, hosted, or co-hosted more than 100 outdoor television episodes. Considered a master guide for fly fishing giant Tarpon, Rob was the first guide in history to win all four major Tarpon fly tournaments, in the over fifty year history they carry. At the age of 17, Rob won the prestigious “Met Master Angler” award, making him the youngest man decorated for this award in the tournaments 62 year history. Fordyce also plays an advisory role and consultant for Yeti Coolers, TFO Rods, Seahunter Boats, Maverick Boats, Raymarine, Fin-nor/Quantum and Under Armour. 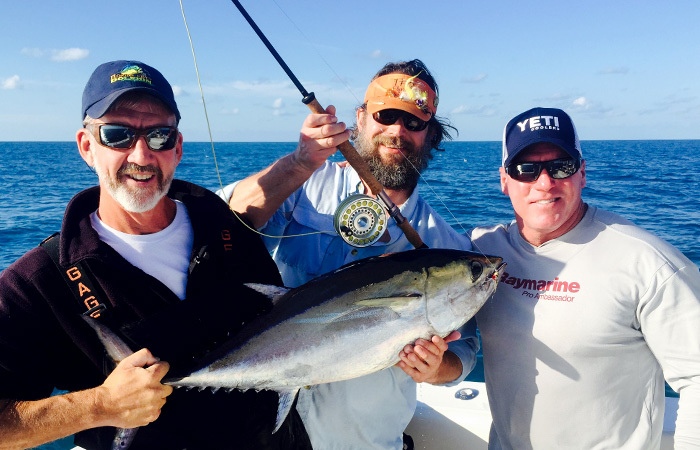 Captain Rob's Clinic will be held at the Dunes Club in Atlantic Beach during the Albacore Festival Pre-Fishing Day on October 21st, 2016. The Clinic will be offered from 2:00-3:00pm and is only open to anglers who are PAID Registrants for the Fishing Tournament. The class is limited to 20 participants and therefore is first come first serve. If you are registered for the tournament and would like to participate in the clinic, please contact us at info@capelookoutalbacorefestival.com to sign up. Casting Clinics will be held at the Dunes Club in Atlantic Beach. Click here for a MAP for those who are participating in the Casting Clinic.